Sophie Jordan wrote her first historical romance as she sat in the back of her high school Spanish class. This early passion for writing led her to earn a degree in English and History. She tried her hand at law school before decided that teaching English was a better career course for her. After several years as a high school English teacher, Sophie resigned with the birth of her first child. At that time, she decided to reconnect with her long-held desire to write. In less than 3 years, her first book hit the shelves. 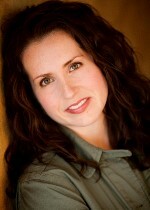 Jordan also writes contemporary paranormal and young adult fiction. Sophie lives in Houston with her family. She is busy juggling deadlines, the needs of her children and a husband who loves her cooking.